J.A.C.K. relies solely on your donations! Run by two passionate volunteers, Franck & Roxane, the J.A.C.K. team is made of 8 Congolese workers (keepers) and of one Congolese vet providing voluntary veterinary assistance. Two armed rangers of DRC National Parks (ICCN) are hired by J.A.C.K. to ensure day and night security at the sanctuary. But J.A.C.K. can’t work all alone and needs your help. 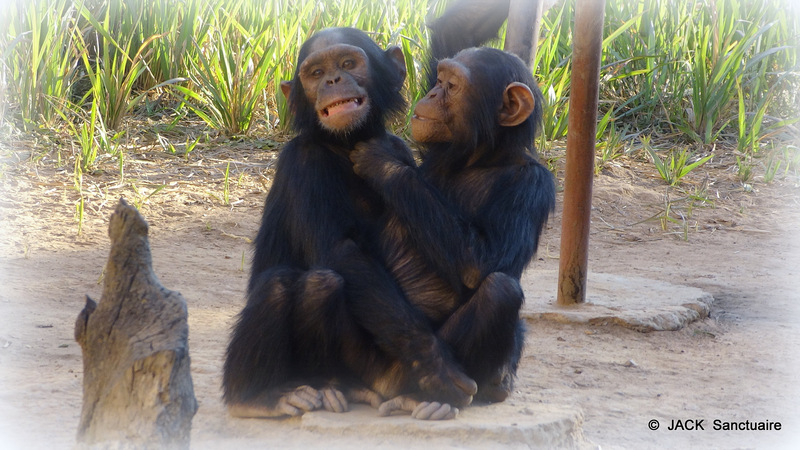 To take care of one chimpanzee costs more than USD 1500,00 a year and although we try to get local sponsors and to fundraise locally, it isn’t enough! Our rescued friends are getting bigger and stronger, need more space, and that’s why new facilities and more land are needed. Also, if more new comers are arriving, they’ll need attention, love & care, extra space and adapted enclosures. Today, J.A.C.K. has reached its full capacity and really needs your support to give these orphans the best! Do you want to take part into our action? Do you want to follow us? to help us? So, please, click on one of the pictures below and don’t hesitate to ask your friends to do the same. We really need your help and be sure that all proceeds of your support will go straight to the orphans to cover food and medical care. 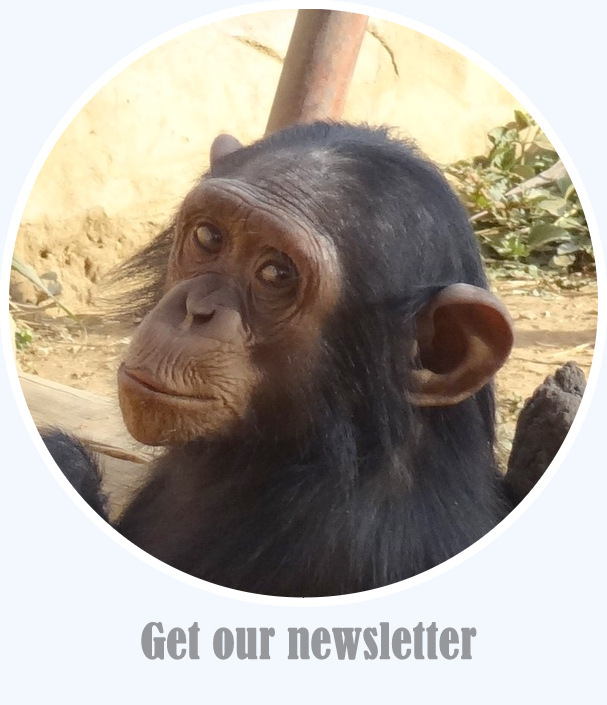 Follow us and get our “Chimp E-News” on a regular basis to read the latest news on the DRC Sanctuary and its residents. Your donation will help provide quality care to our chimpanzee residents including nurtritious food, veterinary care and daily enrichment. Also, your contribution will help support our work caring for these rescued animals, as well as ensuring that it has a positive impact on the residents and the environment. Our main concern is to keep these rescued souls happy, healthy and in good captive conditions the time they are staying with us before their release. Only YOU can do this! As a Member of J.A.C.K. 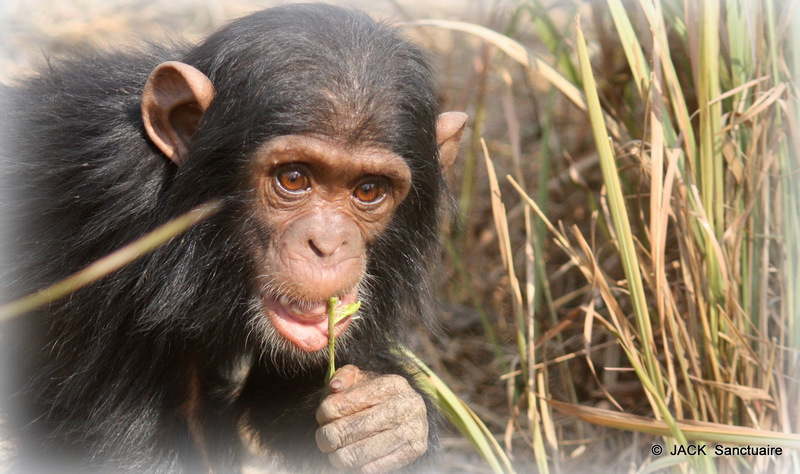 (20 USD/year) , you prove your wish to be part of our fight in rescuing chimpanzees from the bush meat trade and you encourage our action in a difficult country such as the Democratic Republic of CONGO. 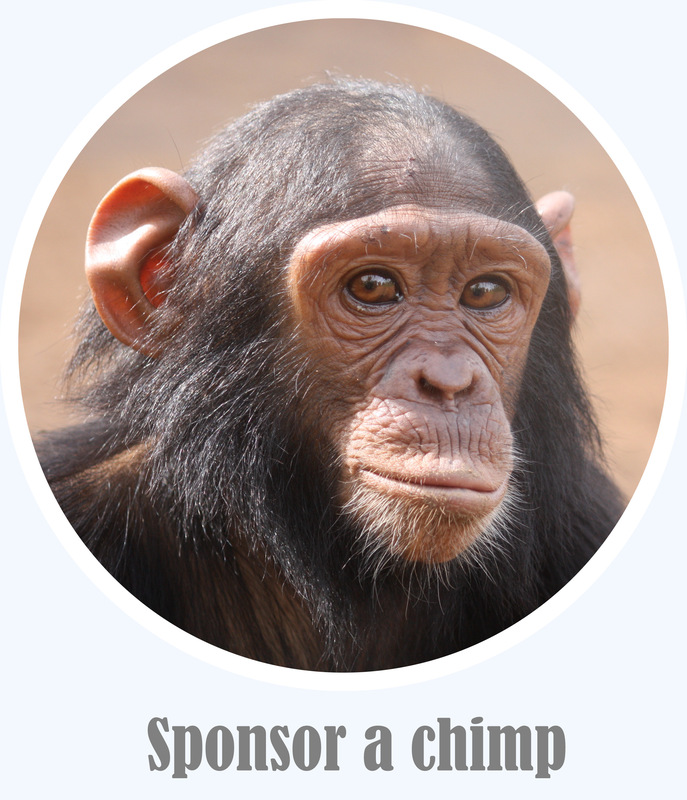 Sponsoring fees represent 15 USD/month and help J.A.C.K. provide balanced and healthy food as well as appropriate veterinary care for the sponsored orphan. Since J.A.C.K. is located in a scary part of the world where political unrest and insecurity are part of every day life, the aim of the sanctuary is to provide its furry residents with the best! Therefore, getting decent food and medical care has a price and is a daily challenge for J.A.C.K. founders and managers!! 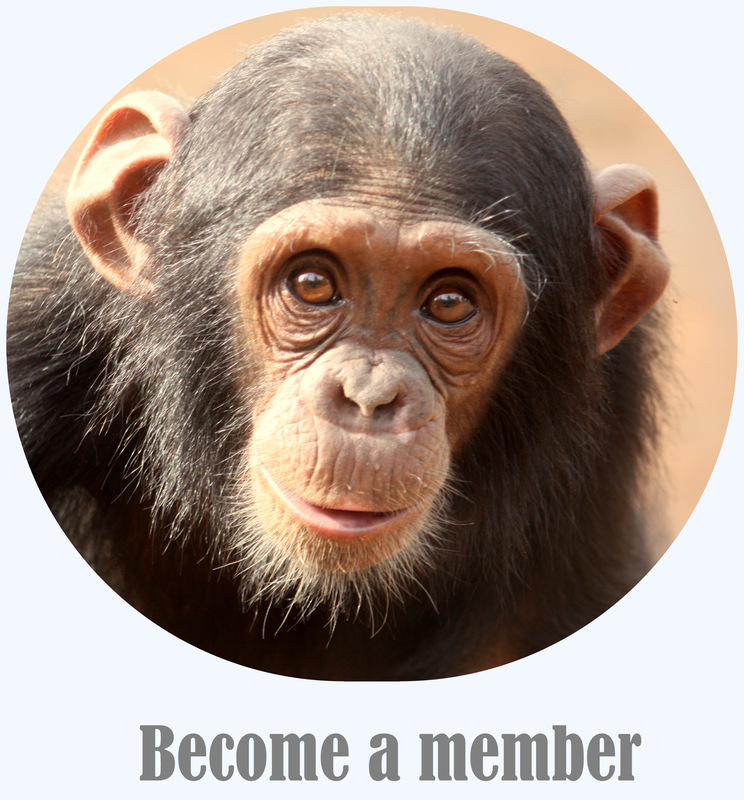 Our online adoption packs include your Sponsorship Certificate, the Biography of your new chimpanzee friend and recent pictures of him/her. 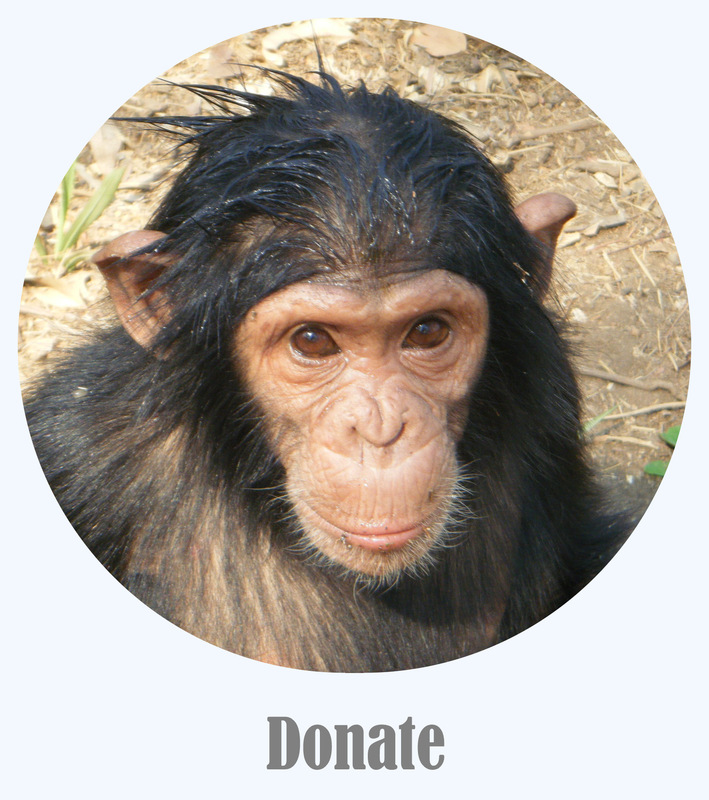 Updates of the sponsored chimpanzee are usually sent monthly.